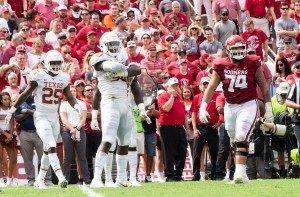 By now you probably know the Sooners pretty well from our last tussle in Dallas and from watching them eke out flag football wins over Texas Tech, Oklahoma State and West Virginia. Las Vegas currently favors them by 8 with a 78 point over/under, so you’re looking at an implied score of 43-35 for the forces of darkness over the army of light. 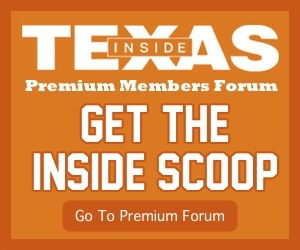 That line also implies that some sharp at Caesar’s has his hands on Ehlinger’s medical records. But as a a great man once said, if Vegas is so smart, then why is it located in Nevada? Not much has changed in Norman. They are still quarterbacked by Bushwick Bill, their head coach looks like a guy who answered a Hollywood casting call for Irate Sodbuster #3, and at least one player on their roster is punching a girl or threatening her with a screwdriver as we speak.